This is a once off opportunity that i am doing in honour of celebrating ALL new Mothers this May. Book the Elite or Premium Newborn Shoot and receive a complimentary Maternity Session! 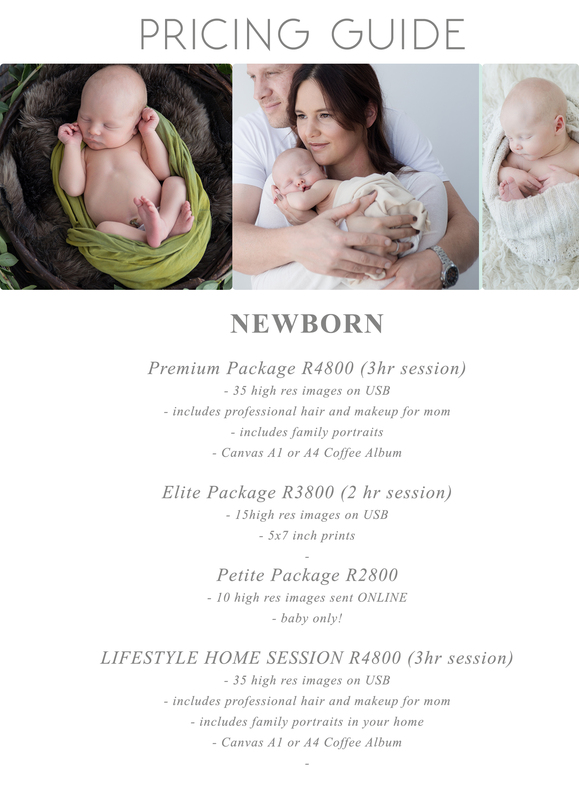 Elite Full payment upfront to secure the deal or Premium Newborn/Lifestyle - 50% upfront and final payment due 3 days before Maternity shoot. not valid for any previous bookings made or invoices that have been sent out...only new bookings. Not valid towards any discounts, gift cards or other specials. Time is also key during an in studio newborn session because it’s important that we wait until the baby is settled into that nice, deep sleep before I start to work with them. This process can be lengthy and patience is everything. My studio is fully equipped with all the props, hats for baby, as well as its "toasty warm" to make them comfy for their session. Mom and Dad get a full view of the session behind the full glass doors, the "Glass Bowl" as i call it...so they don't have to be in the "heat zone". For the lifestyle sessions little one can be sligthly older of course, as we don't pose them at all or very little.